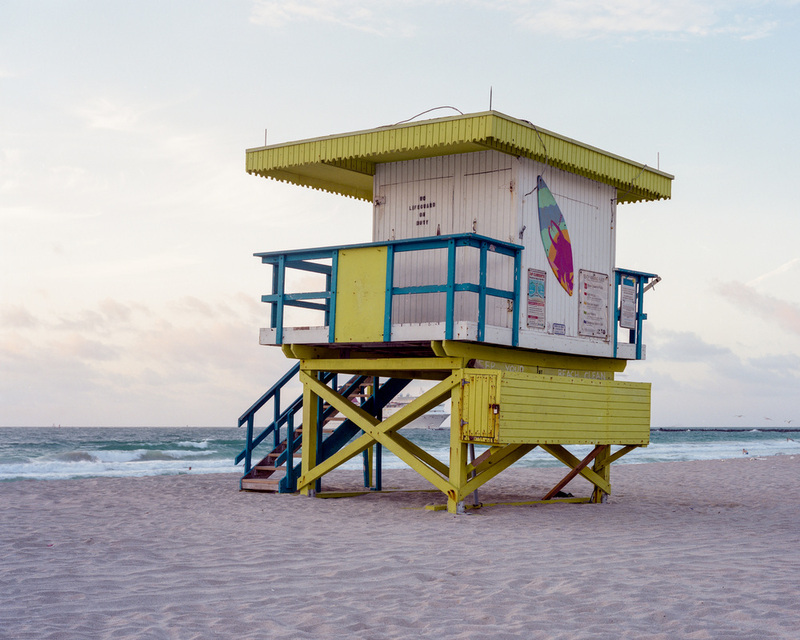 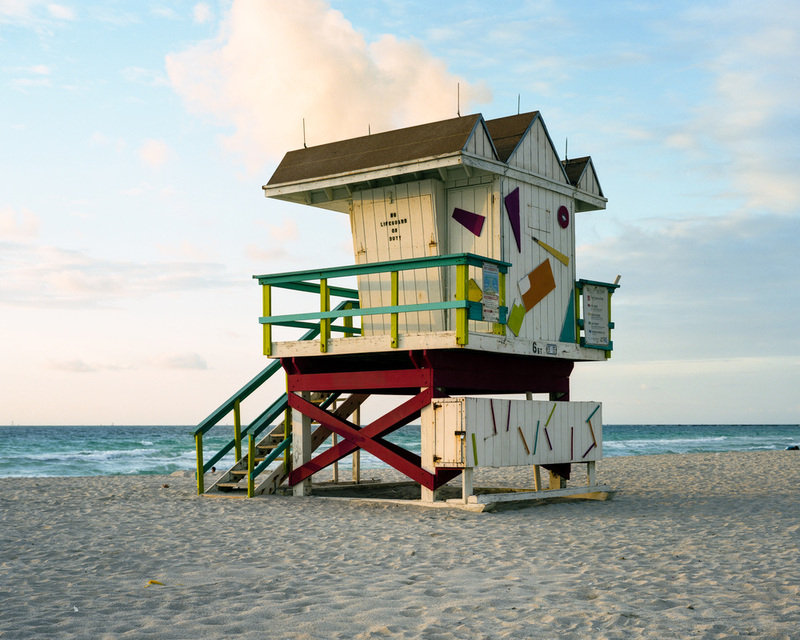 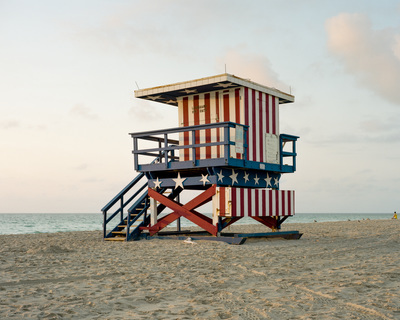 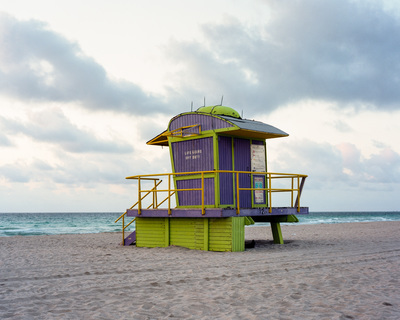 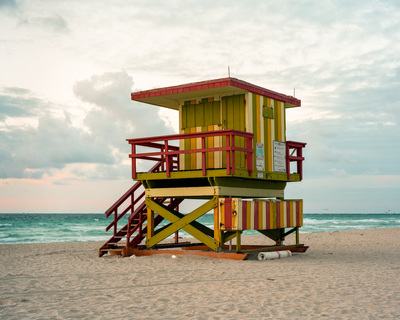 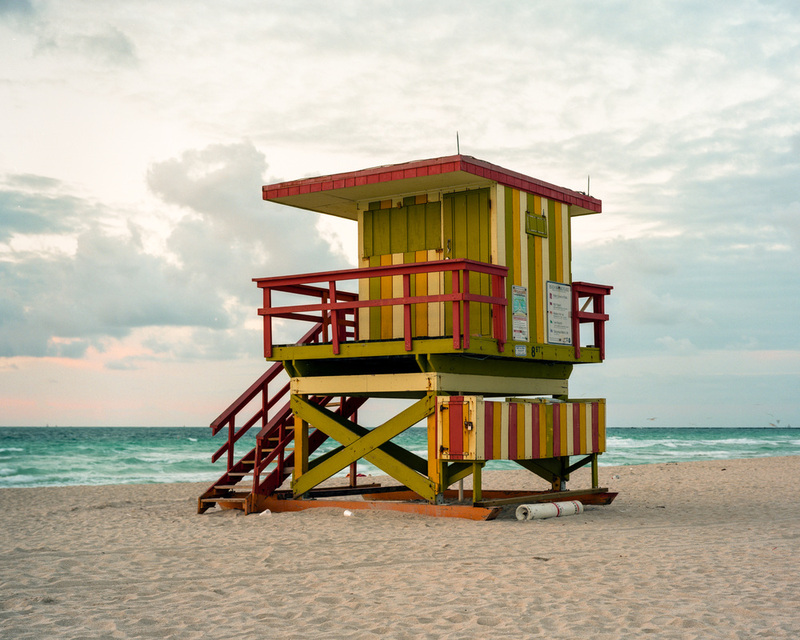 The lifeguard stations are a unique aesthetic feature of South Beach in Miami and might be considered a bit of a cliché photographically. But by showing them as a grid with each station photographed using the same angle of view, composition, lens and so on I hope I have created something different. The work alludes to the diversity of South Beach, its creative spark, its colourful people and its reputation for fun. 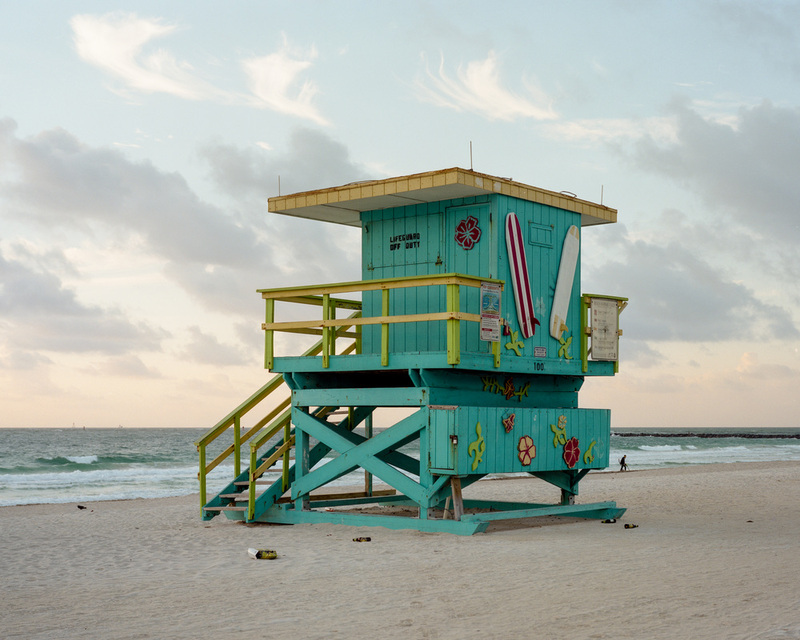 It also tips its hat, in a lighthearted way, at the industrial/conceptual photography of the Bernd and Hilla Becher. The Art Deco style lifeguard stations are located along the beach near Ocean Drive. The photographs were made on consecutive mornings over four days. 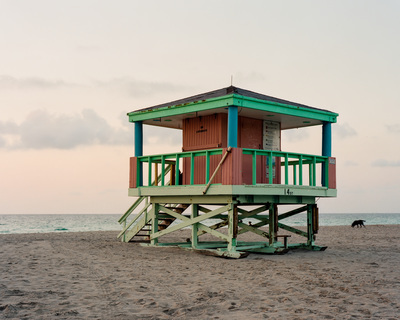 I made two images a day – one just before and one just after sunrise. 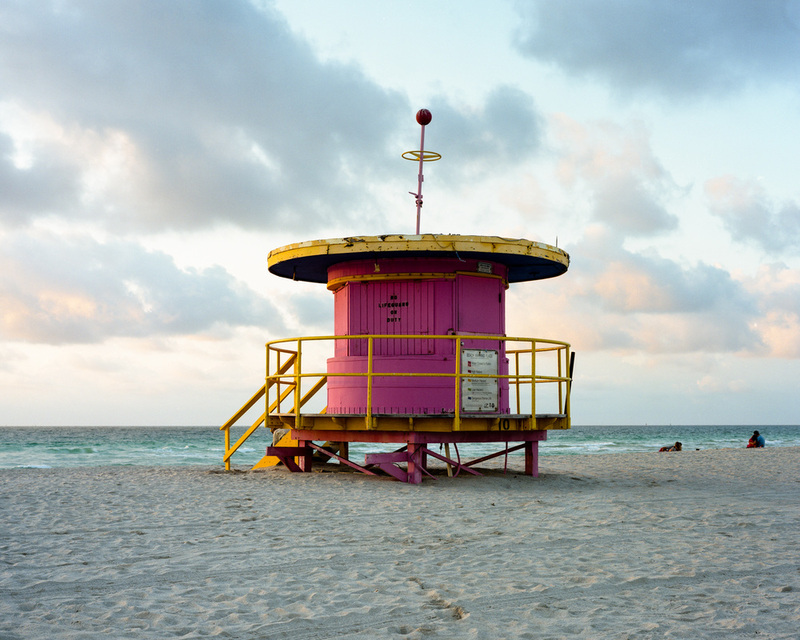 South Beach was exhibited as part of the Photofusion Salon 2014.